Viewing for family and friends will be on Wednesday morning, 9 to 10:30 am in the Edward J. Chomko Funeral Home & Cremation Services, 262 Railroad Avenue, West Scranton, with Mass of Christian Burial at 11 am in St. Ann’s Basilica, celebrated by the Rev. Fran Landry, C.P., Pastor. Entombment will follow in Fairview Memorial Park, Elmhurst. Anna T. Dukauskas, 95, formerly of West Scranton, died on Sunday, November 04, at The Gardens of Scranton. 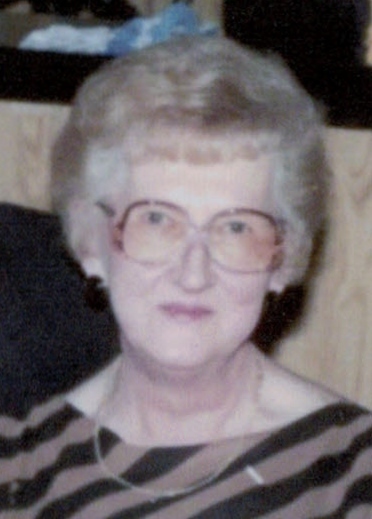 Her husband of 66 years Joseph J. Dukauskas, died on June 21, 2013. Born in Scranton, she was the daughter of the late Louis and Elizabeth Platus. 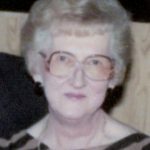 Anna was a former member of St. Michael’s R. C. Church, Jackson Street, Scranton and worked as a sewing machine operator at Hillcrest Shades, Old Forge. She is survived by two daughters; Sue and husband Barry Phillips, Taylor, Carol and husband John Grajcar, Scranton, three sons; Gerald Dukauskas and wife Kathy, AZ, Richard and Daniel Dukauskas, both of Scranton. four grandchildren; Stacy Ridgeway, MD, Leanne Dukauskas, CA, Eric Dukauskas, CO, Nicholas Dukauskas, Scranton, five great grandchildren; nieces and nephews. Anna was a loving wife, mother, sister, grandmother and great grandmother. Anna loved to travel, particularly to Atlantic City and Las Vegas, where she enjoyed playing the slots. Anna was also predeceased by four siblings, Charles Platus and twin brother, Stanley Platus, Stella Gorgol and Clementine Hamzik. Anna’s family wishes to thank The Gardens of Scranton and Compassionate Care Hospice for the wonderful care that they provided to Anna. Viewing for family and friends will be on Wednesday morning, 9 to 10:30 am in the Edward J. Chomko Funeral Home & Cremation Services, 262 Railroad Avenue, West Scranton, with Mass of Christian Burial at 11 am in St. Ann’s Basilica, celebrated by the Rev. Fran Landry, C.P., Pastor. Entombment will follow in Fairview Memorial Park, Elmhurst.